Sarah Capron, a Vermont native, is a physical therapist with Dee Physical Therapy where she treats general orthopedic conditions, vertigo and chronic pain. She believes that listening and educating her patients are the keys to successful patient outcomes. Sarah graduated from University of Vermont in 1996 with her B.S. in Physical Therapy. After graduating she moved to Boston, where she spent nearly 17 years at Boston Medical Center. She worked as a senior Physical Therapist in the outpatient department treating a variety of clients with a broad spectrum of orthopedic injuries including many traumatic, post fracture, post-surgical, and chronic injuries. 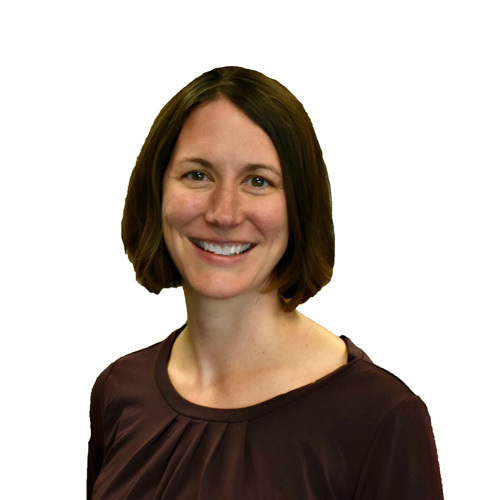 She completed a one year residency program in 2003 at the Institute of Orthopedic Manual Therapy in Woburn, MA where she further developed an interest in manual therapy. Over the years she has attended many continuing education courses focused in sports medicine and has broadened her manual therapy techniques. Sarah and her husband are excited to be back in Vermont to raise their two young children. She enjoys cooking, yoga, running, skiing and spending time with family.